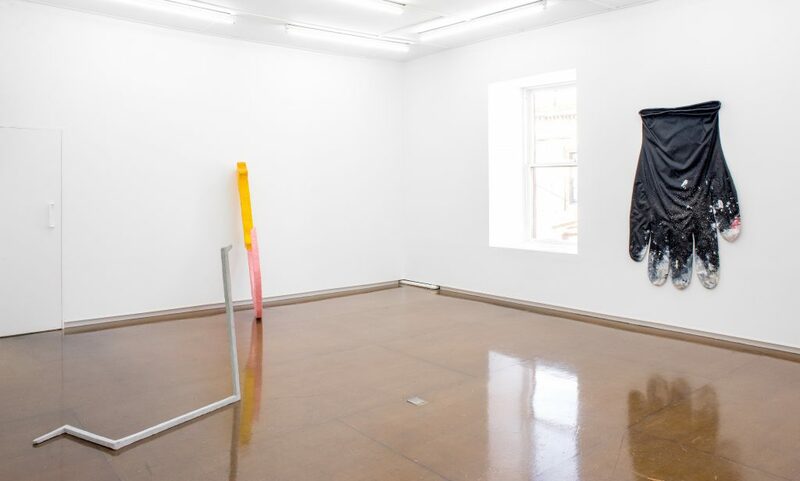 Taking its title from a 2015 work by Aleana Egan, ‘Curve of a hill like the curve of a green shoulder’ focuses on sculptural work which leans towards an idea of the object, the studio, the interior and our experience of artistic environments and performative elements. Each work included provides a focus on sculptural objects offering multiple standpoints beyond the traditional idea of the sculptural canon. 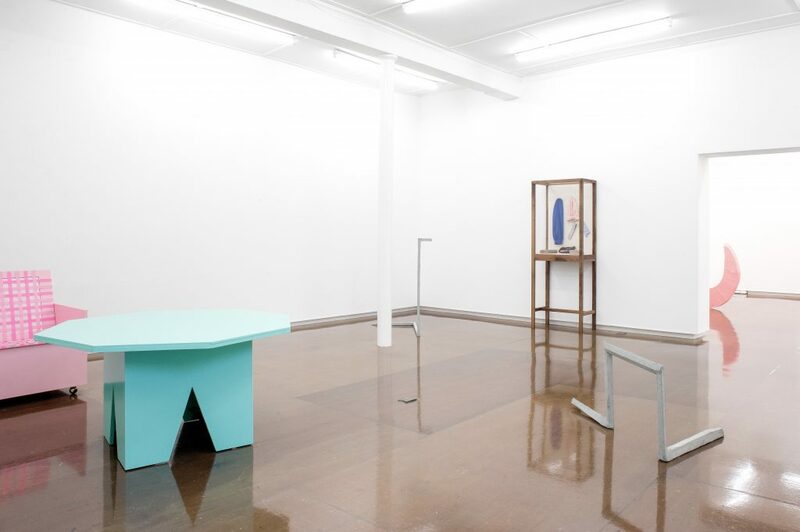 Aleana Egan’s work looks to texts by the modernist writers Elizabeth Bowen and Virginia Woolf and how they describe talk and silence, using interiors, objects and clothes to discuss and project ideas. 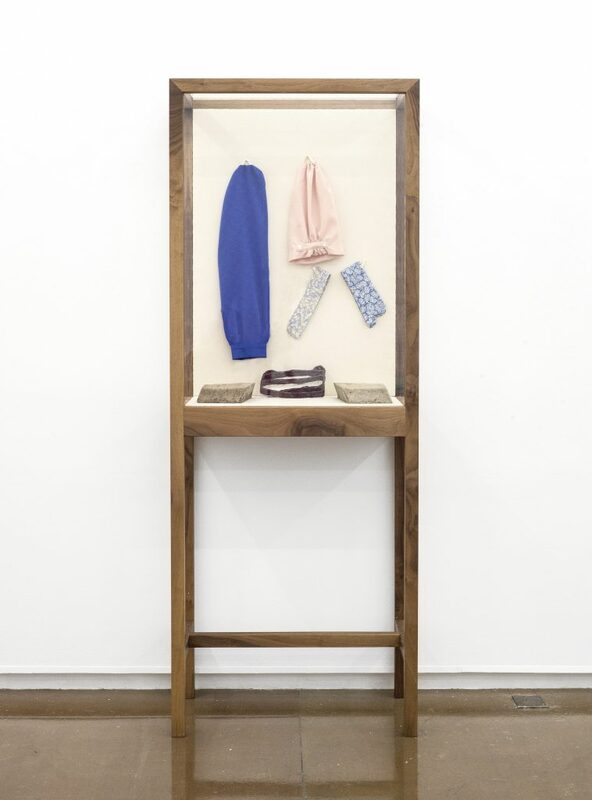 In her newest work included here, Egan presents a vitrine filled with sculptural arrangements surrounding a garment designed and made from written descriptions of people’s clothes in found texts, as well as notes on her personal style and observations. Egan often looks to literary descriptions and a vast archive of photographs, notes and sketches that catalogue her everyday and remembered places and emotions. There is an immediacy in Egan’s practice to make experience, descriptions and responses into solid and material forms and to set out an alternative time frame for these responses by transformation into sculptural arrangements. It is the intangible moments, layering of conversation, thoughts, reading and looking which echo in the work, isolating moments in literature, an architectural detail or a description of a character’s outfit and translating these into form, shape and colour. 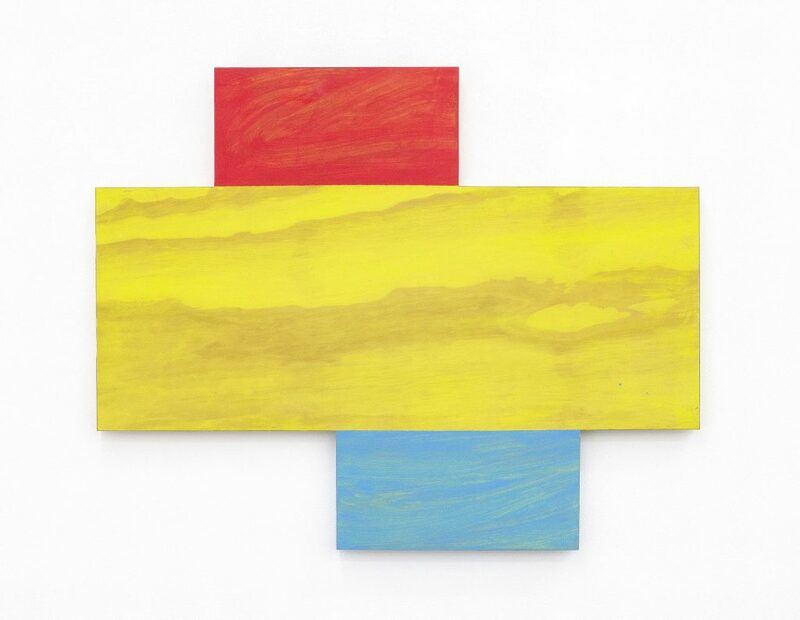 Mary Heilmann’s works are in many ways meditations on the experience of looking and experiencing. Many of her paintings are ruminations on recollections, architectural details and dreams as well as references to music, street fashion, film and numerous aesthetic influences. Works merge between each other, with her paintings rendering both two and three dimensional imagery and sculptural elements, incorporating prints, videos and photography. Heilmann executes ideas in series or repetition, processing abstract thought into solid object and imagery. 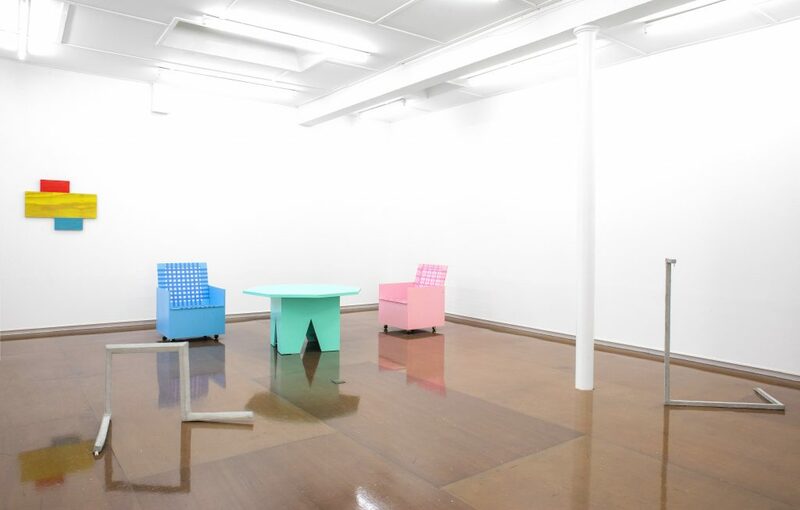 As part of this, Heilmann installs tables, chairs and ceramic bowls and cups, inviting the viewer to contemplate and experience her work communally and in time. Heilmann produces work around the idea of seeing and experiencing it and as a result it occupies a social space, presenting her experience as one that is generously open to our own experience. 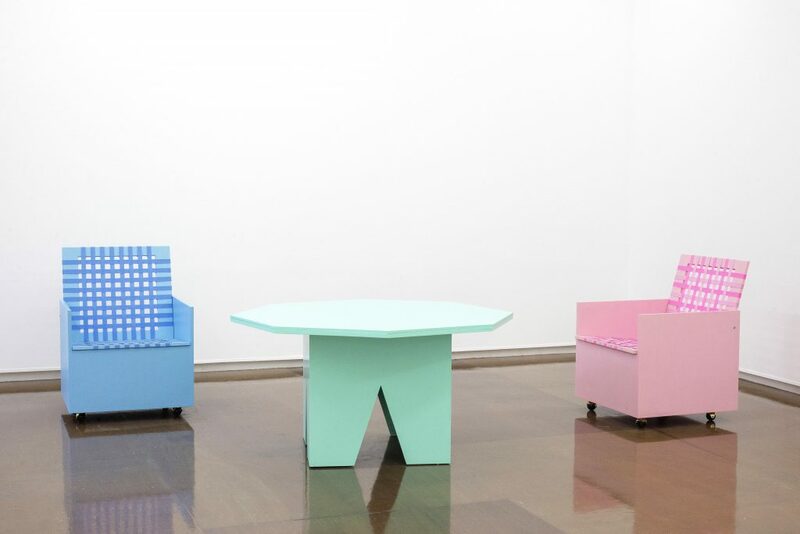 Judith Hopf’s work employs humour and a deliberately naive aesthetic to subvert and poke fun at social and political conventions and modernist, minimalist aesthetics. 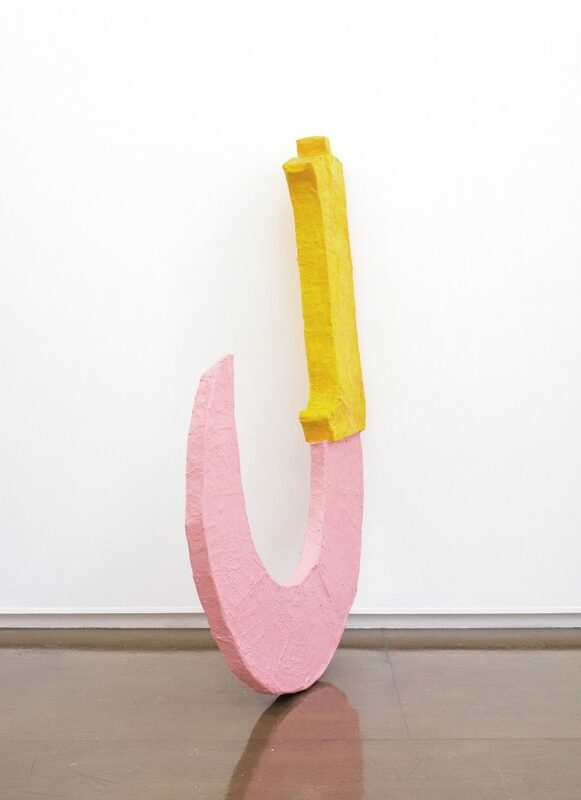 Her very deliberate and specific use of simple materials, allows Hopf to play with sculptural expectations, often using animals such as serpents and sheep etc to describe and symbolise human behaviour, however limited it may be. As with the snakes included here, Hopf investigates an idea of limitations in relation to human physical behaviour and in our relationship to the internet and a society built on continuous flowing information. Here the snakes represent a stagnation in this, a frozen animation, illustrating Hopf’s deft hand at utilising sculptural material to illustrate the comedy and ludicrosity in our day to day existences. In the work of Amanda Ross-Ho, we are presented with an intimate image of the studio and of the objects of production. 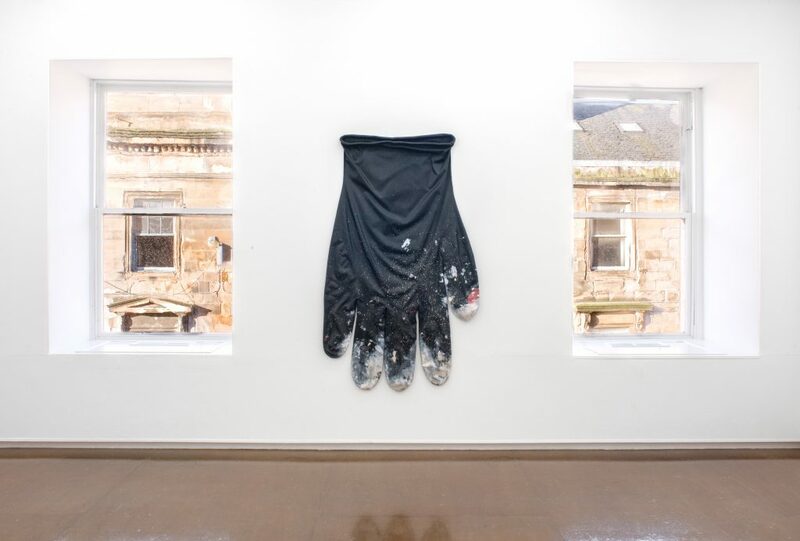 Each object holds vast swathes of intimate knowledge and reference and through the processes of Ross-Ho’s production, they are stripped of their utility, presented as gargantuan versions of themselves, becoming both tragic and comedic. In becoming more object like, they are more loaded, more intimate and symbolic, with Ross-Ho presenting theatrical environments with forensic gazes. In line with, Ross-Ho mines the idea of time as material and often investigates ‘the space inbetween’. Her works seem to present an impression of vigorous and painstaking processes, whilst others seem to be held in time, once utilized and needed, now frozen as image and object, an idea of something seemingly performative, ever constant, yet faintly removed from grasping. Included here are two large scale sculptures by Erika Vogt, which are based on a collection of images Vogt has gathered of knives, from numerous time periods and sources and which are a re-working of props used in a recent collaborative performance work as part of the Artist Theater Program. These objects therefore are at once sculptural pieces and post-performance re-enactments with each given the name of a friend or fellow artist, some of whom participated in the theater works. 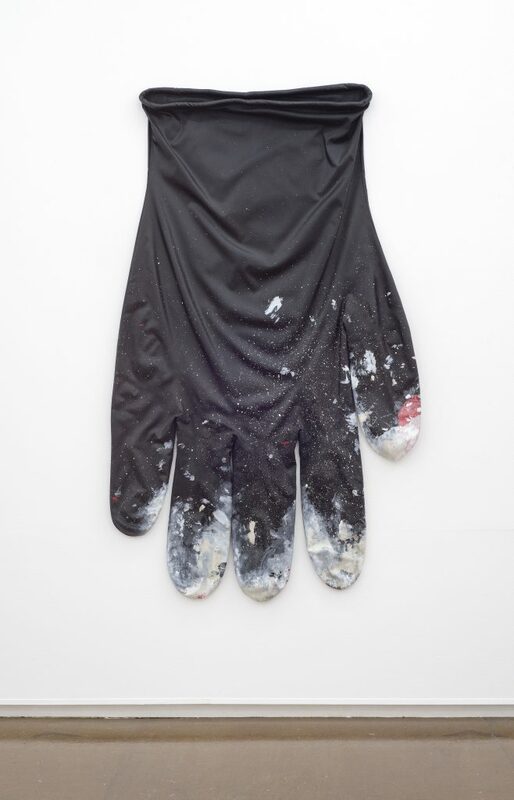 These works were used as costume, directing tools for choreography and sightlines as well as being political sculptural symbols; their colours though referencing a quick, rough production are taken from a series of protest posters whilst the knife image itself, often used as a symbol of revolution. Within her practice Vogt makes a point of her ever shifting alliance to any one medium and is interested in having an experience with her work which is unknown and unexpected, moving between performance, film, drawing and sculpture. The work aims to be increasingly physical and endeavours to be numerous entities and experiences all at once. 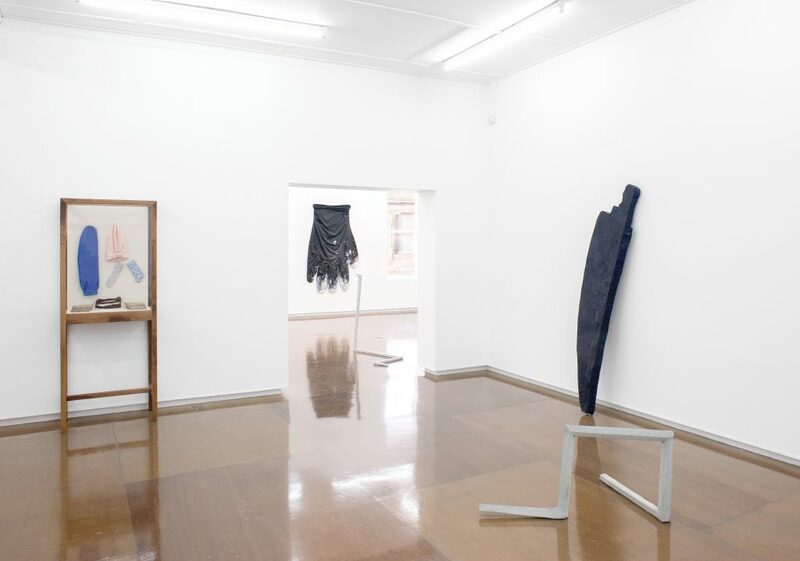 Artists: Aleana Egan, Mary Heilmann, Judith Hopf, Amanda Ross-Ho, Erika Vogt. 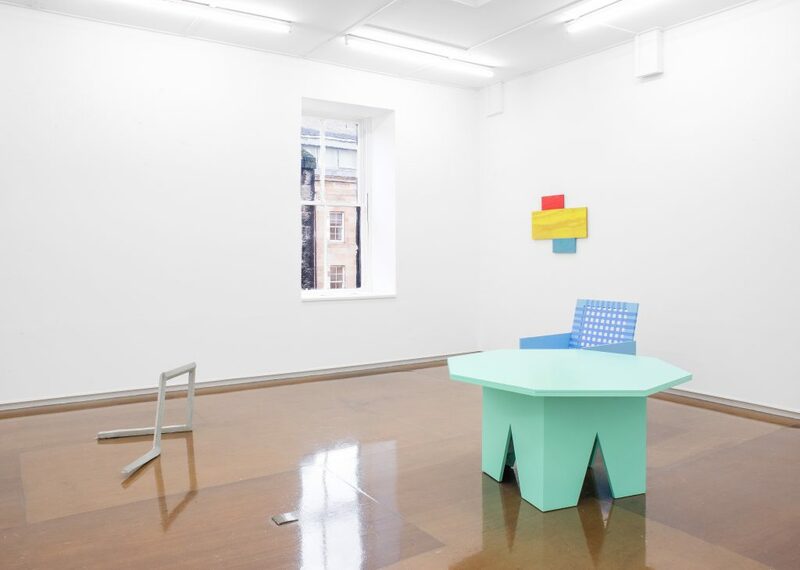 Installation view, Curve of a hill like the curve of a green shoulder, Mary Mary, Glasgow 2017. Stretch cotton sateen, acrylic paint, cotton piping, armature wire, 177.8 x 106.7 cms / 70 x 42 ins. Polyurethane, linen, aluminum, and acrylic, 69 x 48 x 4 in / 175.3 x 121.9 x 10.2 cm. 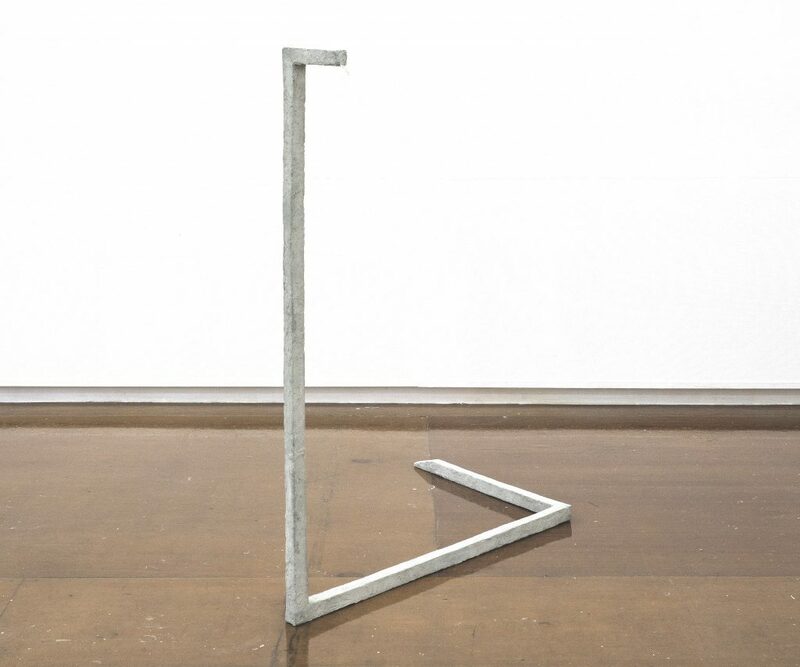 Concrete, metal, newspaper, 108.5 × 56 × 88 cm / 42 3/4 x 22 x 34 5/8 ins. Oil on wood panel, 61 x 76 cms / 24 x 29 7/8 ins. Walnut vitrine, perspex, canvas, wool crêpe, cardboard, tape, filler, varnish, pigment, firebricks, 174 x 67 x 38 cms / 68 1/2 x 26 3/8 x 15 ins. 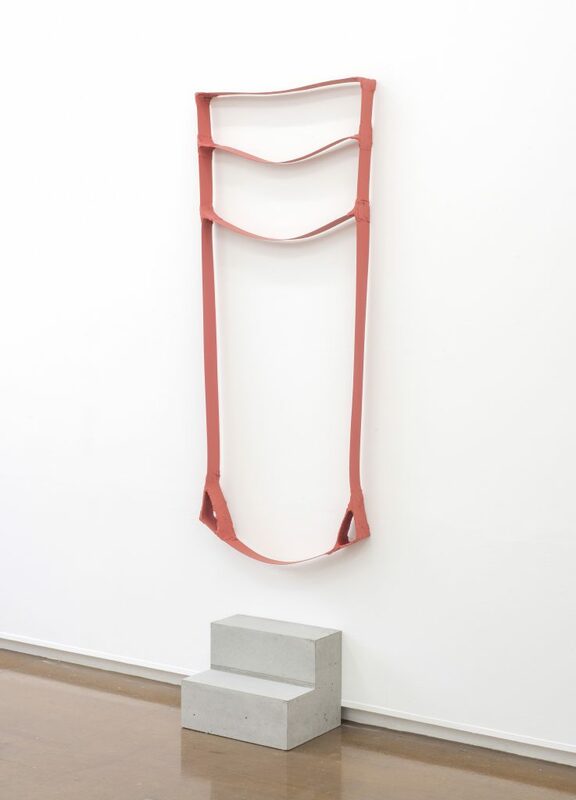 Cardboard, tape, filler, paint, varnish, concrete, 187 x 60 x 45 cms / 73 5/8 x 23 5/8 x 17 3/4 ins, 2 parts.